No really, that's what it's called. Alpha H is known for it's prized Liquid Gold range, boasting amazing results and a cult following. So is it worth the hype? 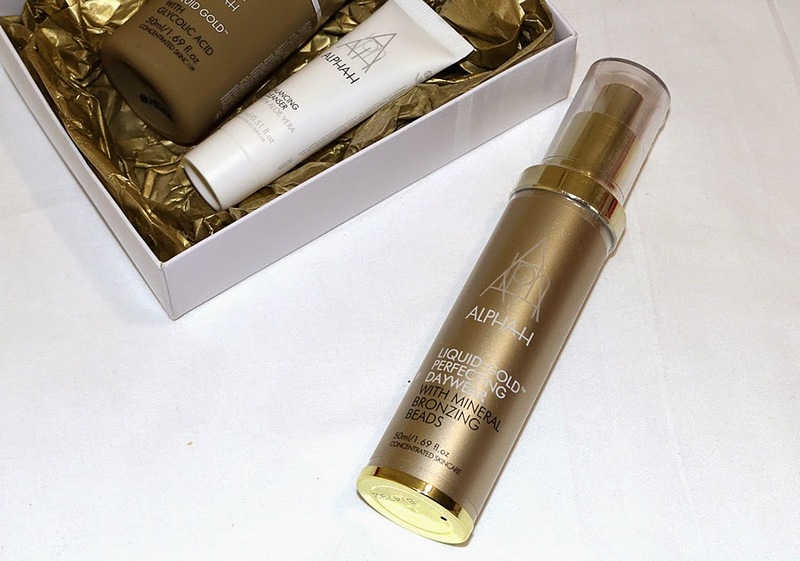 I have put three Alpha H products to the test, two from the Liquid Gold range, to see if they will transform my skincare routine and report the results to you all. This is the classic product of the range and harnesses it's power to resurface and firm the skin while assisting the treatment of wrinkles, pigmentation and sun damage. It's a night time firming and revitalising lotion specifically targeting radiance, firmness and texture of your skin. It's derived from Glycolic acid and Licorice extract so they work together to stimulate and energize the skin. My verdict is that I think it would be amazing for already aged skin since you will see immediate results otherwise it's a great preventative product. This product is with mineral bronzing beads, a concept I wasn't completely sold on at first. It's the predecessor of the original Liquid Gold product, containing a lot of similar ingredients (listed below) and targeting a lot of the same results. It's marketed as a complexion enhancer, offering weightless hydration, skin-lifting technology that helps firm, hydrate and brighten the complexion. Now here's where the bronzing beads come in, an illuminating sheer tint from bronzing beads that burst on application and release light reflecting particles for a glow. My verdict is that this is a great product for the Summer time when you went to be extra bronzed and radiant but for everyday use the original product above is your best bet. Note that the packaging has now changed so you may get the new squeeze tube or this cylindrical hard-case tube depending on where you purchase it from and how old their stock is. Key ingredients; cosmetic grade glycolic acid, licorice extract, hyaluronic acid, matrixyl 6, citrolumine 8 and red algae. This creamy cleanser is a 3-in-1 containing Vitamin E and Aloe Vera, working together to remove your makeup and correct your skin's natural pH balance. This is a perfect product for a girl who doesn't like spending long on her skincare routine since this one cleanser knocks out the need for a remover, wash and toner. I also love how it's safe to use over the eye area and in made with gentle, nourishing ingredients. That's the low-down on this liquid gold stuff you have probably been seeing all over your social media feeds or otherwise a first introduction to the brand.